There are so many ways to have delicious seasoned brown rice. 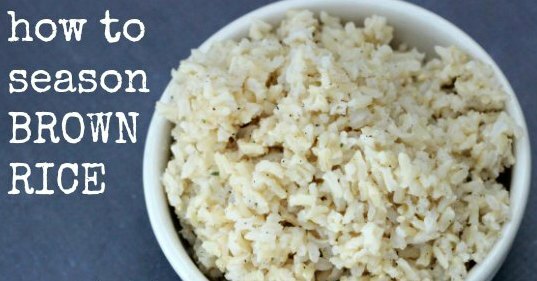 Learn how to season brown rice quickly and easily. Brown rice is so good for you, but often people tend to stick with the white rice. In fact… we have been guilty of it too. Forget the boxed rices (unless you get them for cheap $.50 a box) – buy the brown rice in the bags and cook it from scratch. It is CHEAPER and it is actually healthier for you. Once you you learn how delicious seasoned brown rice is, you will love it! The entire family will enjoy rice with so many tasty and delicious flavoring options. You can use instant rice or regular rice. Another time saving tip is to learn how to freeze rice so you can have it ready in minutes. Does brown rice taste good? Ok… back to my original point of writing. Brown rice can be a bit boring especially if you eat it as often as my family. 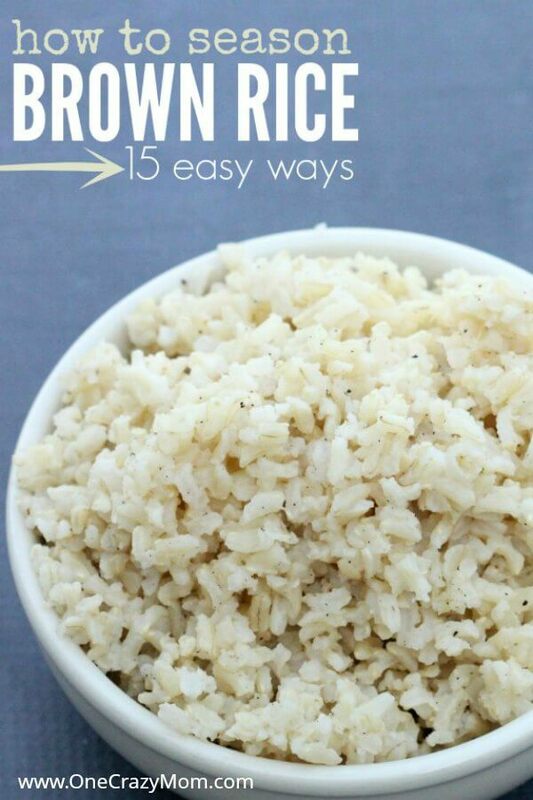 What can you add to brown rice to make it taste better? However, with just an extra ingredient… or two your rice can really come to life! Add in Garlic salt (This is our all time favorite!) – So easy and really bumps up the flavor. Add in a bouillon cube or granules when you cook the rice for extra flavor. Mix in some salsa and some cumin for a tex-mex taste. Add an egg and fry it for a healthier fried rice. Add butter and lots of pepper – our neighbors make this pepper rice and it is GOOD! Mix in some pico or just plain chopped tomatoes and cilantro. a Dash of Tabasco sauce or Taco sauce mixed in is good. Sprinkle with salt and Parmesan cheese. This is an odd combination but very good. After it is cooked sprinkle with apple cider vinegar or balsamic vinegar for a slightly sweet taste. Add ground beef and make it a one pot meal. Mix in Sliced Sausage for another easy one pot meal. Mix in some cilantro and a splash of lime juice for a very fresh tasting rice. Save money and save your health by sticking with brown rice and trying brown rice add ins. As you can see you can season rice with almost anything. After you start eating it regularly, you will actually find yourself preferring brown rice over white. What to season brown rice with? With so many wonderful options, you will love to season brown rice. Dinner will be so delicious and easy! What is a good spice for rice? As you can see from the list above, there are lots of great spices to use. Depending on what mood you are in, you can use a variety of different spices. Garlic is one of our favorites and so easy. We are always trying new things. You can also try cayenne pepper, black pepper, lemon juice, olive oil and more for the perfect side dish. The cooked rice is tender and tasty. It is so simple to cook amazing flavor packed rice. Just bring to a boil, reduce heat and you will see how easy it is to cook brown rice. Try 1/2 cup serving and see how much your family loves this easy side dish. How to season brown rice Mexican? We like to use cumin or salsa for rice with a Mexican flare. 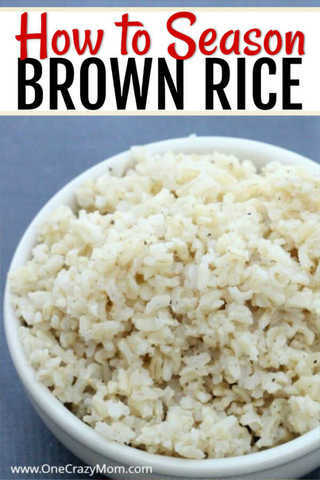 How to make brown rice taste like white rice? If you try these various seasonings, the rice really becomes hearty and flavorful. 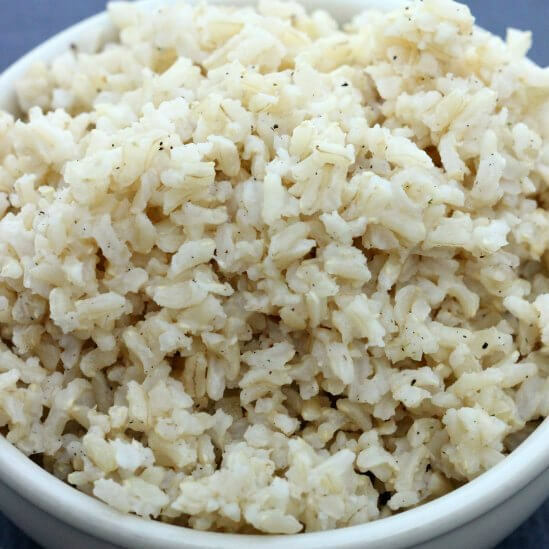 Once it is seasoned, even those that are fans of white rice will love it! Healthy food doesn’t have to cost you a fortune, and it definitely doesn’t have to taste bland either with tasty brown rice seasoning! Try some of these options for not only a healthy side dish idea but a really flavorful side dish as well. Even your kids will eat brown rice when you cook it this way. Sometimes, I even cook extra for leftovers or quick lunches. It is easy to portion into containers and eat for quick meals or side dish ideas. There are several easy ways to cook brown rice from in the microwave, to on the stove top, and in the rice cooker. To be honest… my favorite way to cook brown rice is in the crock pot. Add some rice and you have such an easy and fabulous meal. Plus, with so many wonderful ways to season brown rice, the entire family will love this easy side dish. Rice does not have to be boring when you try these seasoning ideas. Not only is it frugal and easy to fix but absolutely delicious and tasty! Your kids will never talk about rice being boring again once they try these tasty seasoning add ons. Let us know which one is your favorite! We all love to save money and time. Try some of these other fabulous ideas.